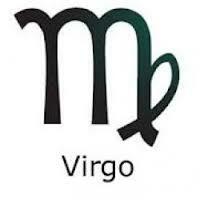 On February 19th, the Moon will be full in the sign of Virgo. Neeshee Pandit of Atmaastrology and I give forecasts for all signs of the zodiac. The usual implications of the full Moon in each of the twelve houses of the birth chart is discussed, as well as for your health. The full Moon in Virgo is in the critical second house for Leo rising people. The full Moon transit in the 2nd house happens only once a year. Take full advantage of this transit Leo rising! This month we added a card, for a regular playing deck, to the forecasts. Neeshee pulled a card for the full Moon in Virgo. The card he picked is the Eight of Hearts. The Eight of Hearts is a Moon and Rahu card. 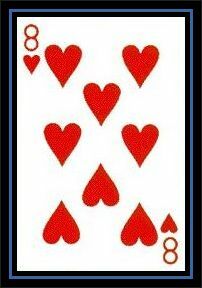 Hearts are fruits, so the Eight of Hearts card is reinforcing the giving, nurturing, healing full Moon in Virgo message. The TimeStamps for each sign is below each video below. In video one (Part 1), we cover the signs Aries through Virgo. In video two (Part 2) we discuss the signs Libra through Pisces. Watch the forecasts for your rising sign (ascendant/lagna), your Sun sign, and your Moon sign to get a complete picture of what the full Moon in Virgo will GIVE to you this month! Hi, i am capricorn rising with ketu on my asc. I am a certified palmist and have been studying astrology on my own for many years. I have been feeling lately so unsure of myself, feel like stopping all readings with client but just love to study astrology. I have been doing the test of ” are you an astroler ” and i have most of the points required, this answers why i love studying it. Love to follow you, you are an inspiration. Thank you, Suzanne! I have Ketu in my ascendant too and I’m studying more astrology as well. Practicing doing readings is the only way to increase your confidence. You can always tell people that you’re ‘just’ practicing if that makes you feel better. Ask a lot of questions and find out how the person’s chart is manifesting in their life. People love to talk about that.